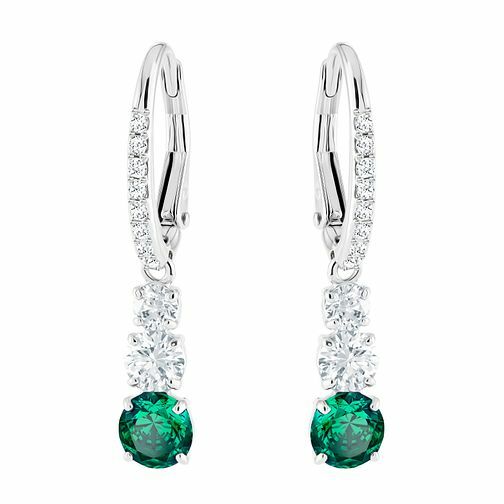 Swarovski presents this beautiful Ladies' Rhodium Plated Attract Trilogy Rhodium Drop earrings. A trio of clear crystals and a single green crystal are embellished with pavé and rhodium plating in this drop design. Impossibly elegant and stylish, these earrings make for a beautiful accessory.